Our version of "wedding photography" is designed to give you nightmares! 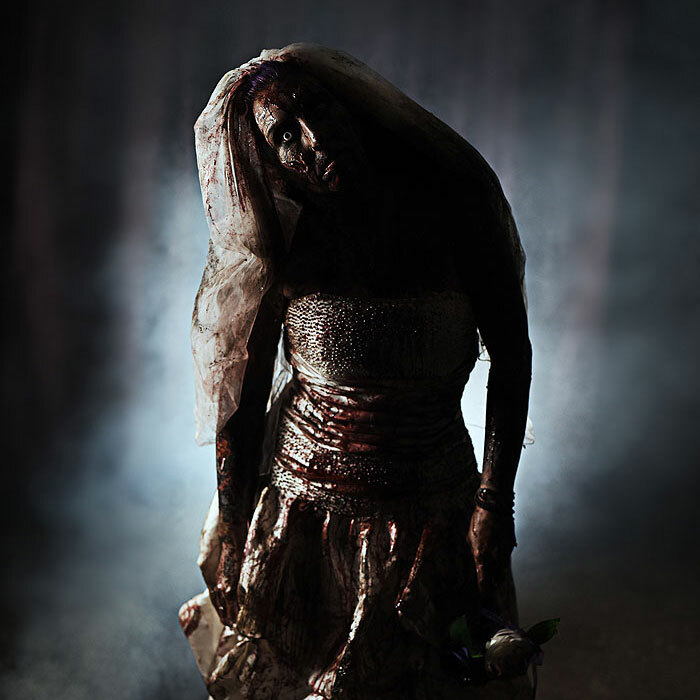 We pile on the horror and gore, transforming the bride and groom into figures of terror. This is the most fun you will ever have in a wedding dress! • If you're recently married, or have an anniversary coming up, or just fancy doing this for the sheer hell of it - then you are about to embark on the most fun you can ever have in a photoshoot! 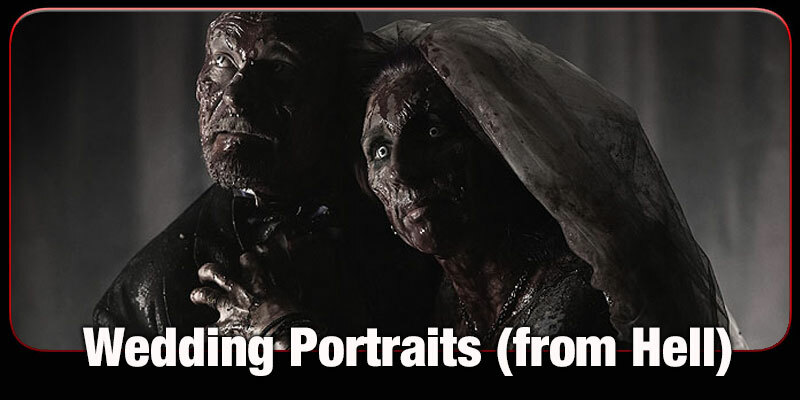 • Our horrific wedding shoots are the best way to celebrate a loving union, in which you will both be covered in gore and blood, you'll be able to kill each other, and of course you get to trash your beautiful wedding dress in the greatest way imaginable! 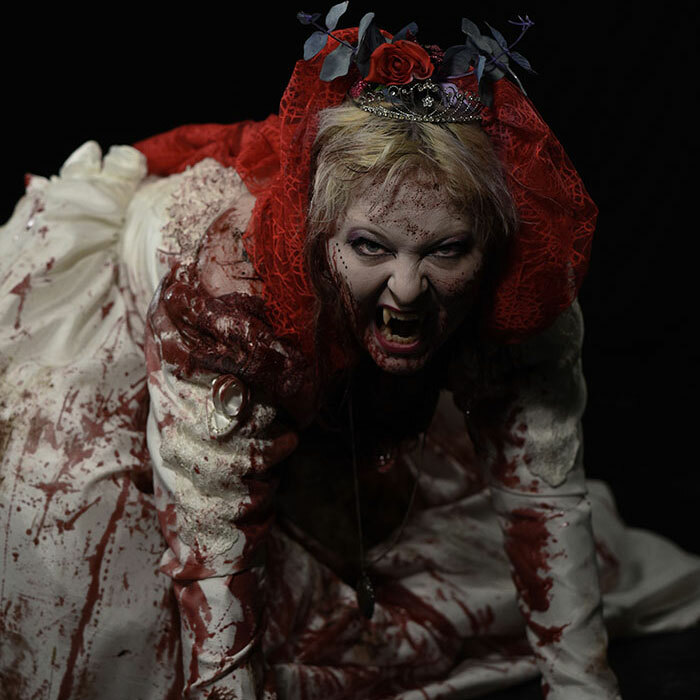 • Your Bride and Groom can be themed however you like, so if you fancy being a vampire couple, zombies, or even demons straight from hell, then we can make your most cherished nightmares come true. • You will be directed by the photographer into a series of poses to create the most memorable shoot. • You can do this photoshoot as a couple, or solo. 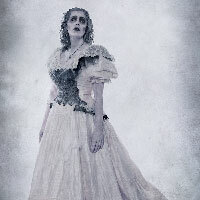 Bridal dresses make amazing costumes for haunting horror shoots. So it isn't a real wedding day. There are no guests and no cake, but we can still start the shoot with some lovely bride and groom shots just to kick things off in pleasant style. You can do shots of the bride and groom murdering each other, just for fun. 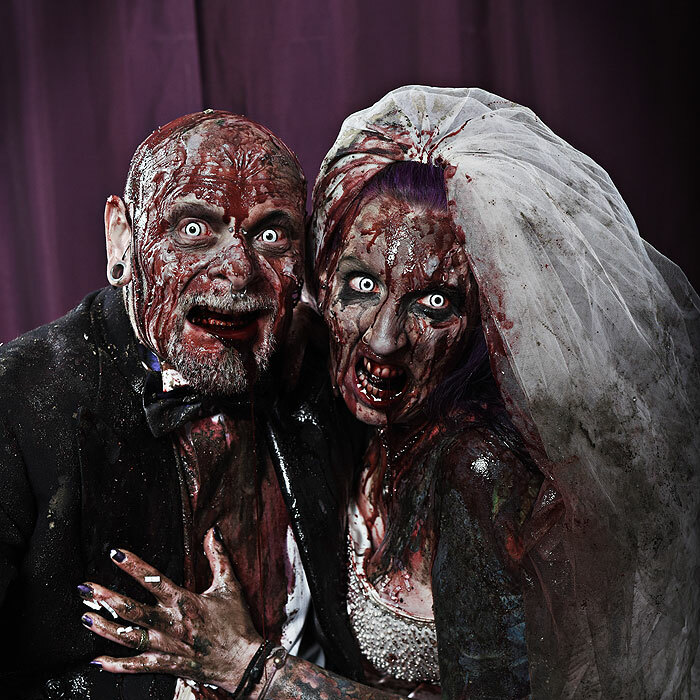 There's no better way to trash that wedding dress than with an awesome zombie wedding couple! You can also be vampires or demons. 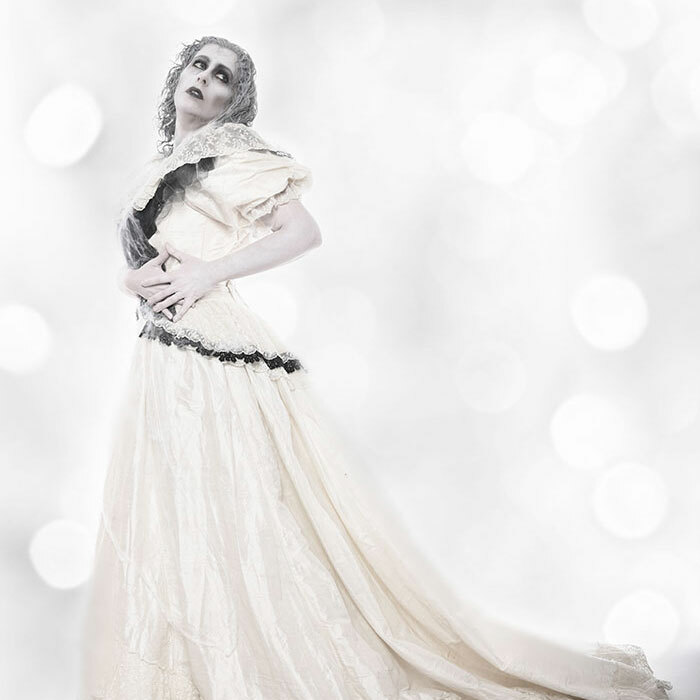 Bridal dresses are perfect for ghostly or demonic themes. Fangs and blood can really turn your big day into a deadly encounter. • Clothing. Bride will need a wedding dress. If you feel brave enough then you can bring your real wedding dress and we'll trash it in style. However if you don't fancy doing this then we suggest you buy a cheap wedding dress from Ebay. Groom needs suitable clothing too. • Strictly age 18 and over. Proof of age may be required.